The 13 Days of Halloween - INVISIBLE - "Cul-de-Sac"
Spirits, Souls, Beings. Whatever you call them, you can’t see them. But you can hear them. Thirteen souls have been given their earthly voices back for the chance to tell their own stories. Oct 19th through 31st, each episode is a personal look at one immortal being. Episode 9, Cul-de-Sac, was written by Michael Bonnabel and performed by Linda Graves. 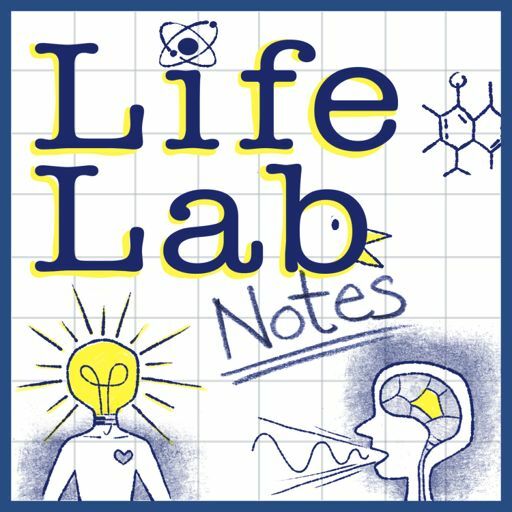 Follow us on Twitter, Instagram, and Facebook, @LifeLabNotes, and visit us at www.LifeLabNotes.com. With each Life Lab Notes episode, we strive to illustrate how much we humans share, but this episode is perhaps just a bit more personal and universal. H.A.B.I.T. "Info-Trans Report: The Holidays"
It’s December, and time for the final Life Lab Notes episode of the year. The perfect time to check in on our favourite space alien duo - H.A.B.I.T. The Humanoid Aptitude and Behavioral Inquiry Team. The 13 Days of Halloween - INVISIBLE - "Home"
The 13 Days of Halloween - INVISIBLE - "Doubt"
The 13 Days of Halloween - INVISIBLE - "Hunted"
The 13 Days of Halloween - INVISIBLE - "Exit"
The 13 Days of Halloween - INVISIBLE - "Limbo"
The 13 Days of Halloween - INVISIBLE - "Summoned"
The 13 Days of Halloween - INVISIBLE - "Believe"
The 13 Days of Halloween - INVISIBLE - "Threshold"
The 13 Days of Halloween - INVISIBLE "Sand"
The 13 Days of Halloween - INVISIBLE - "Periphery"
The 13 Days of Halloween - INVISIBLE "Maestra"
The 13 Days of Halloween - INVISIBLE - "Host"
Thanksgiving - Imagination At Work! Hold On, You Want Me To Let Go? Before it was a ubiquitous Disney song, it was ubiquitous advice - sometimes, not super helpful. Love, loss, getting help, and finding our own way. First of a three-part series by Gale Brennan Jackson. It's sort of like "Take a Podcast Listener to Work Day," and she's starting us off with a summer job from the 90s. Enjoy! "Happy New Year! Love, the Old Year"
"Monstranto, A Halloween Horror Story"
LifeLabNotes Copyright by each writer.